Abby Martin Breaks the Set on Fake Terror Threats, Chaos in Hong Kong, Secret Fed Tapes, Uranium on Navajo Land and What You Missed at the UNGA. EPISODE BREAKDOWN: On this episode of Breaking the Set, Abby Martin discusses revelations by The Intercept that a secretive terrorist organization known as The Khorasan Group, that was said to pose an imminent threat to the United States by government officials, was largely fabricated. Abby then goes over the pro-democracy movement in Hong Kong, highlighting the long history of tension between mainland China and the autonomous region and how China is responding to mass protests in the streets. Abby then speaks with Erin Ade, host of Boom Bust, about a stunning series of recordings released by former New York Federal Reserve employee, Carmen Segarra, showing the collusion between the regulatory body and Goldman Sachs. Abby then talks about a $500 million settlement between the government and Navajo nation over destruction of tribal land due to uranium mining and how this amount will do nothing to alleviate the pain and suffering caused by this industry. BTS wraps up the show with an interview with producer, Manuel Rapalo, about some of the most overlooked speeches during the UN General Assembly from Evo Morales’ comments on the Security Council to Dilma Rousseff’s speech on the NSA. Obama: Don't Bomb Syria or Iraq! President Obama has been conducting airstrikes in Iraq and even has over 1,000 pairs of boots on the ground, and now he is threatening to begin airstrikes in Syria–– all without Congressional approval. US military intervention in the region has historically been counterproductive. Tell President Obama: Don’t bomb Syria or Iraq! We are deeply concerned about the people of Syria and Iraq and the threat to their safety that ISIS poses, but we know that US military intervention in the region has historically been counterproductive. We especially saw this play out after the 2003 US invasion of Iraq. Instead of relying on the U.S. military to solve the crisis, what’s needed is a political and humanitarian solution to the crisis, not more violence. Last month, the House of Representatives passed H. Con. Res. 105, stating clearly that there is no legal authority for U.S. military involvement in the Middle East without express Congressional approval. At the very least, you (a constitutional lawyer!) should follow US law and consult Congress before taking military action. The American people are sick of war and too many lives have been lost at the receiving end of American weapons. President Obama, we call on you not to bomb Syria or Iraq. Insurgents are advancing on Baghdad and again, the United States contemplates military action. But the American people have already made up our mind -- we're not going back to Iraq. Petition: "U.S. military action in Iraq: It sure didn’t work out well last time. Let’s not make that mistake again." Click HERE to sign the petition and to read Rep. Grayson's USA Today op-ed against military intervention in Iraq. How does an unpopular president sell the American people on a war in Syria against ISIS after failing to sell the war in Syria against Assad? He doesn't. He appears aloof, goes golfing and lets the same old neocons and liberals (Lindsey Graham, John McCain, Mike Rogers, Diane Feinstein) beat the war drums and blame him for NOT ACTING. Consider this an exercise in critical thinking. Step outside of the 24-hour news cycle and look at how we got here..... It may make you look at this situation differently. Syrian Rebels set off chemical weapons and blamed Assad (Nebehay, Reuters, 5-5-13) in order to drag the US into the Syrian civil war. The neocons and Obama beat the drums of war, but Americans not wanting to get involved in Syria and not knowing who we should be supporting SHOUTED DOWN the war drums and we stayed out of Syria. Sign the petition to keep us out of Syria and be heard! Fast forward to the new enemy - ISIS. The SAME people who told us about a year ago that we needed to save from Assad are the SAME people beating the same war drums to stop ISIS in..... wait for it..... SYRIA. At the same time that we are told the ISIS threat is everywhere, we are told we need to strike SYRIA. WHY???? WHY SYRIA? Shouldn't we be bolstering our defenses? Securing our border? Rooting out foreign nationals on our soil? Raising our awareness to the possibilty a domestic attack? WHY is the answer going to war in SYRIA? Regime change? Arab Spring/Muslim Brotherhood? Why SYRIA? Sign the petition to keep us out of Syria! ISIS is a radical islamist group full of psychotic militants. So why did we arm them? What did they think ISIS was going to do with the weapons? They knew. They knew they would act like psychotic militant radicals act. Assad wasn't scary enough. Create the bogeyman, let the bogeyman cause some havoc, turn on the bogeyman and..... go to war with the bogeyman. Obama could not sell this new war to the American people. No one trusts him. So he plays golf and looks aloof while the usual neocons and liberals beat the drums of war (McCain/Graham, NY Times, 8-29-14) until he comes around. Pacifism is utopian and foolish. There are bad, evil people. 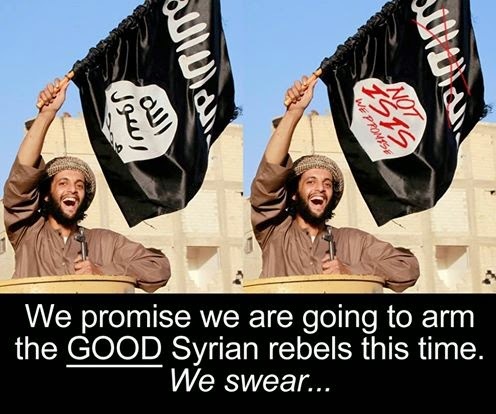 ISIS and Assad are not good folks. That's why we fight for our 2nd Amendment rights to defend ourselves and our country. We should accept that ISIS is a threat and our government should act to DEFEND our country accordingly. But is going to war in SYRIA in our best interest? That is the true crux of the situation. Sign the petition to keep us out of this manufactured crisis and make your voice be heard! Action Alerts: End endless war. Parliament has voted for the third Iraq War. The last two have brought almost unimaginable suffering to the people of Iraq and have helped to create the current chaos, driving the country to the brink of break up. They claim this is a humanitarian operation to defeat Isis. 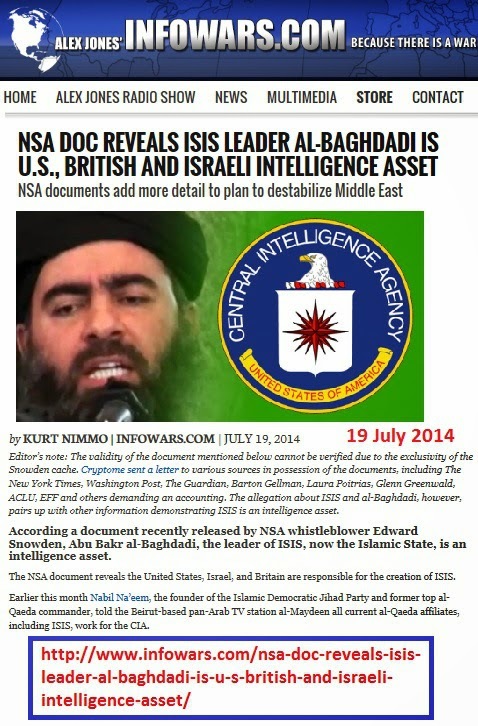 In fact Isis is backed by various middle east powers and a new aerial bombardment will not defeat it. It will however kill innocents, further fragment the country and inflame violence. The record of the west's wars in Afghanistan, Iraq and Libya show that as well as creating misery and mayhem, western military interventions make the world a more volatile, dangerous place. Cameron's new war has built-in mission creep. Discussions are already underway for Britain to join the bombing of Syria, and there are growing calls for boots on the ground. The Stop the War Coalition is asking every one of its supporters to throw themselves in to the campaign against the insanity of another war on Iraq. Get the anti-war message onto every High Street and community. Organise petitioning, leafleting, street meetings and protests where you live. 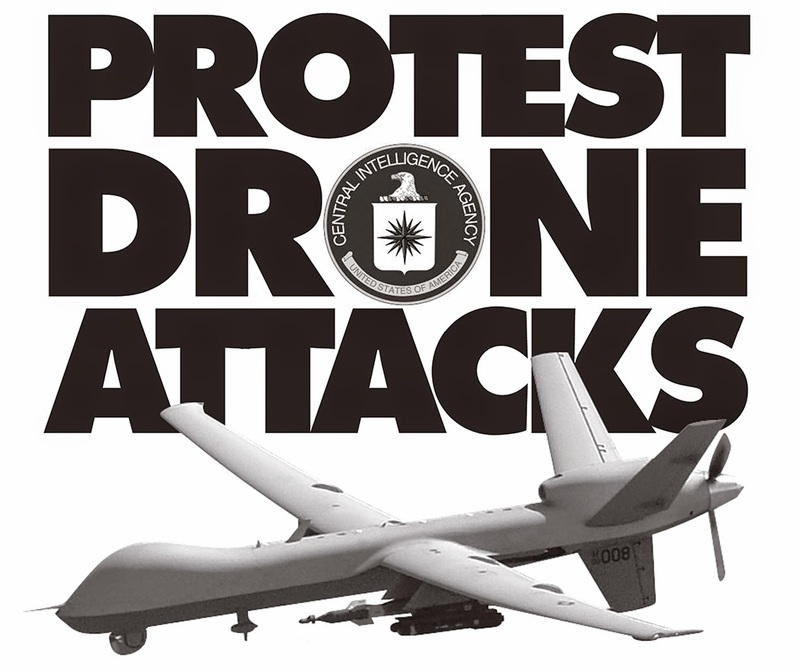 Phone or e-mail us to be put in touch with other local anti-war activists. Abby Martin Breaks the Set with Congressman Ron Paul. and for indicating your interest in helping us communicate the message of ending all war. If you'd like to help with media or communications, we'd like your help! Please write to Joe Scarry at media@worldbeyondwar.org and let him know what experience you have, what contacts, resources, and skills. If you know JQurey coding, we're making maps that display militarism and peace in the globe, and we need your help. Please reply to this email. Shamefully it is almost certain that today MPs will vote for a new assault on Iraq. After excellent protests yesterday in London and a number of others across the UK, the anti-war movement now needs to move in to overdrive. The response to our actions and arguments in the last few days shows that while the war propaganda has had an impact, there is a huge anti-war constituency. Thousands have lobbied their MPs for the vote and our website is attracting tens of thousands of visitors a day. Tomorrow, Saturday, we are asking all our groups and supporters to hit the streets in your communities with protests, street stalls, petitioning sessions and placards. We need to make sure the Don't Bomb Iraq message is visible everywhere. A new petition is available to download. If you are in London placards can be picked up from the office or we can email you the file to print out. Please contact us. If there is a yes vote, we will be calling a national protest next Saturday 4 October. Exact details to be announced in the next 24 hours. Confused? As the US bombing starts, who are the heroes and villains in Syria? 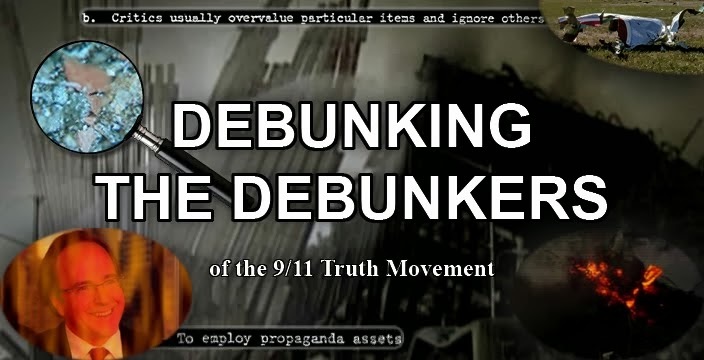 9/11 Debunkers REJOICE!! The proof you have always wanted. This is one of the funniest videos I have ever seen. Enjoy. 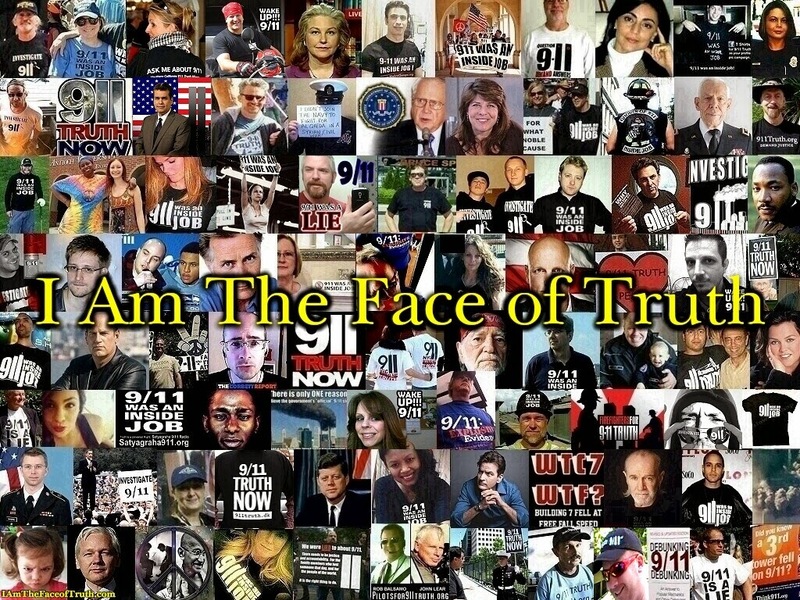 This video is the property of The Corbett Report. I make no claim of ownership. I uploaded this video for the mere purpose of sharing the video. If you're in the U.S. join our friends at RootsAction and Win Without War in registering your opposition here and here. If you're in England join our friends in the Stop the War Coalition protesting in London here. A protest is being planned in Washington on Thursday as well. CodePink should have the info soon here. 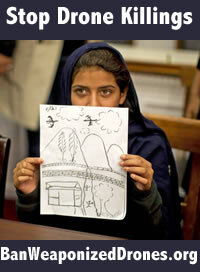 Let us know about any other events anywhere in the world and we'll post them on the World Beyond War website. 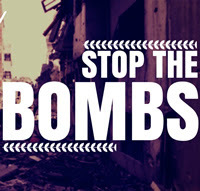 Call/Write/Protest - Stop the Bombing! If you rather write than call. Emergency protest: Don't bomb Iraq, Don't bomb Syria. Lobby your MP. Protest Downing Street. 5.30pm Thursday 25th September. David Cameron is planning to recall parliament on Friday to push through a vote for the UK to join the US in bombing Isis in Iraq and possibly Syria. Stop the War is calling on our supporters to protest this Thursday evening outside Downing Street from 5.30pm till 7.30pm. Nearest tubes: Westminster and Charing Cross. We are also asking supporters to immediately lobby their MPs to vote against bombing. A terrible situation in Iraq and Syria may soon get worse. CREDO members reported pouring well over 3,000 calls into their representatives and senators. But, in the end, the majority of Democrats joined with Republicans to rubberstamp the president’s proposal. The Islamic State of Iraq and Syria (ISIS), which is already fighting with American weapons it captured from the Iraqi military, could likely be the main beneficiary of Congress’ rush to war. The shifting, opportunistic alliances and fragmented opposition in the Syrian civil war make it virtually inevitable that American-funded rebels will end up fighting alongside Sunni extremists like ISIS. They'll bring their American weapons with them, and those weapons may well be trained on American targets. This is eerily reminiscent of the CIA operation in the 1980s to arm and train the Mujahideen rebels in Afghanistan to fight the Soviet invasion -- a fighting force that with the help of U.S. aid evolved into the Taliban and launched al Qaeda into the world. Congress’ decision will make America less safe and fuel further violence in the Syrian civil war and in Iraq. Funding and arming the Syrian rebels is the first part of President Obama’s plan to fight ISIS by opening a new American front in Iraq and Syria. Our movement may have lost this round, but it’s a wake up call for the anti-war movement to organize and stop the Obama administration and Congress from repeating the mistakes of Iraq and Afghanistan. We must not end up entangled in yet another costly and unwinnable war that makes Americans less, not more, safe. 1. The main fight over whether we go to war in Syria and Iraq is going to happen in Congress in December over a new Authorization for the Use of Military Force to renew George W. Bush’s blank check for war. Will Congress write a blank check for war like it gave George W. Bush before the invasion of Iraq? Will it approve a limited intervention that expires after a short time limit, bans the president from putting troops on the ground, and includes significant Congressional oversight? Or will it vote to block the administration from starting a war with Syria and expanding the war in Iraq? What happens will depend on us, and whether we can organize strong opposition in the run up to the 2016 presidential election. In fact, several presidential hopefuls voted against arming the rebels, foreshadowing what could be a major issue in both Republican and Democratic party primaries for the presidency. Our best shot to stop another blank check for war is in the Senate, where Democrats hold a narrow majority. The Senate is threatened with a Tea Party takeover if Republicans can win six seats in the November mid-terms. If that happens, it will make a tough fight to stop another war dramatically more difficult. That’s why earlier this year CREDO SuperPAC launched the Save the Senate, volunteer voter contact campaign to organize thousands of volunteers to get out the progressive vote in five key battleground states and stop a Tea Party takeover of the Senate. President Obama's publicly stated position is that he doesn't need authorization from Congress to go to war with ISIS.3 Instead, he has claimed that the outrageously broad 2001 Authorization for the Use of Military Force (AUMF) -- passed at the behest of George W. Bush just days after the terrorist attacks of September 11, 2001 -- grants him sufficient authority to launch airstrikes in Iraq and Syria. This is a dramatic flip-flop for President Obama, who campaigned for president on a platform that included winding down George W. Bush’s disastrous wars of choice overseas, and last year called for the repeal of the very same 2001 AUMF that he is now using to justify bombing Iraq and Syria. Anti-war activists must urge Congress to vote against authorizing the president's new war in Iraq and Syria. Congress rejecting authorization is no guarantee that the president won't still go to war in Iraq and Syria -- but it's the best shot we have to stop his plan for war. 2. This war is going to get much bigger and include ground troops if progressives don't organize a major campaign to stop it. President Obama's war plan is to attempt to "degrade and destroy" ISIS by arming and training "moderate" Syrian rebels and launching sustained airstrikes in Syria and Iraq. He's also deployed 1,600 "military advisors" in Iraq to assist the Iraqi government and the Kurds as they battle ISIS -- and that number is likely to grow. Obama's plan puts the United States on a slippery slope to a drastically escalated war. It's certain that war hawks will push for a U.S.-led ground war once airstrikes don't immediately resolve the conflict. Even without U.S. troops on the ground, airstrikes threaten to drag the United States into a massive conflict with Bashar al-Assad, in addition to ISIS. President Obama has reportedly pledged to retaliate against the Syrian government if it fires on U.S. war planes.7 If that happens, the United States would simultaneously be fighting against two sides of the Syrian civil war: ISIS and President Bashar al-Assad's government. That's a recipe for disaster and further instability, which will only make ISIS stronger. There is no immediate crisis as there was in August when CREDO supported the emergency U.S. air strikes that blocked the genocidal ISIS and helped protect minorities by holding the Kurdish defense line in Northern Iraq.9 Since then, the situation in Iraq has stabilized, and Iraq has formed a new government, replacing the corrupt and divisive former Prime Minister Nouri al-Maliki. The civil war in Syria is stuck in a bloody stalemate. The current media frenzy that has been ginned-up largely by chickenhawks from the Bush administration and parroted by politicians from both parties is not an adequate justification for the United States to continue its intervention in either Iraq or Syria. Despite rampant alarmism from war hawks and media pundits, ISIS is a relatively small extremist group surrounded on all sides by formidable enemies like Iran, Syria, the Kurds and the Iraqi government. 4. The sad and simple truth is that the United States cannot lead any intervention without making a terrible situation even worse. When it comes to the current brutal conflict, rooted in centuries of religious hostilities in Iraq and Syria, there is no solution that American leadership can offer. Unfortunately, at this point in the conflict there is no viable campaign for peace and stability initiated by any other international or regional actor that the U.S. can join in support. Given America’s history of waging wars of aggression and covert operations in the region, we are in no position to lead the way in resolving the current conflicts in Iraq and Syria. Regional players have the power to make a difference -- especially Turkey, Iran, Jordan, Saudi Arabia and Iraq’s own government. But at this juncture a U.S.-led military intervention would harm, not help, their ability to broker a solution. The bottom line is that there is no simple American solution to this messy conflict, and anyone who says there is is deeply deluded. 5. Anti-war progressives can fight back. We did it a year ago and we can do it again, but we’ll need your help. It was just over a year ago that Congress, under massive pressure from progressives across the country, rejected President Obama's proposal to launch airstrikes against Syria. Leaders in this fight included progressive members of Congress like Reps. Alan Grayson, Rick Nolan and Barbara Lee. CREDO was the first large progressive group to come out against bombing Syria, and CREDO members helped provide the massive grassroots pressure necessary to help them turn their colleagues against war. Members of the House who were expected to rubberstamp the president's resolution authorizing military force in Syria received an unprecedented number of phone calls opposing strikes against Syria -- including almost 40,000 reported by CREDO members. One-by-one, members of Congress started to come out against the attack. While it was widely believed that the president and Majority Leader Harry Reid had the necessary votes in the Senate to approve bombing Syria, Democratic Senators Tom Udall and Chris Murphy stepped up and opposed a resolution authorizing military action in Syria in the Senate Committee on Foreign Relations. The tide turned in the Senate, and soon the press was reporting that opposition outnumbered support by 2 to 1. But since last fall when we successfully rejected war with Syria, war hawks have exploited ISIS's military successes and brutal crimes in Iraq and Syria, including the beheading of three journalists, to increase pressure on President Obama to go to war. The only way to stop the march to war is to raise our voices again and make it clear to President Obama that his progressive base will not support war in Syria, or expanded conflict in Iraq. We’ve done it before, we can do it again -- anti-war progressives can cut through the hype and alarmism and put the brakes on our president's rush to war. You’ll be hearing from us in the coming months asking you to take action to stop this next war -- from signing petitions and making phone calls, to organizing meetings with your representatives and hitting the streets in protest. It will take massive pushback, but if we fight together we can win. 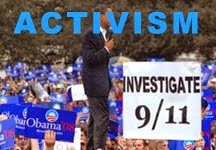 It's going to take a full-court press from progressives to stop President Obama from starting a third Iraq war. And we need your help to pull it off. If you haven’t signed and forwarded to your friends our petition to President Obama saying no to this war, do it now. If you haven’t called all of your representatives in Congress and the White House, make a call now. Share this update with your friends and family. Chip in now to help CREDO launch a sustained campaign to stop this war before we once again have combat troops on the ground. The much-anticipated report from the referee in our case was issued this past Monday. While rejecting the City's claim that the petition fails to give voters adequate notice of the petition's purpose and effect, and also rejecting the City's attempt to have the case dismissed on a procedural technicality, the referee recommended against us on two other issues, finding that the petition is "merely advisory," and that the petition's financing plan is invalid. The report can be read here. This is by no means the final say. Today we filed a Motion to Reject the Referee's Report (click here to read it). This puts the case in the hands of New York Supreme Court Justice Paul Wooten, who will likely set a hearing for early next week. We expect Justice Wooten to issue a decision by mid-week, leaving about 9 days before the October 3rd cutoff for either side to appeal. The referee stated early in his report: "After reviewing the parties respective papers, the subject Petition, the Verified Petition and the proposed amendment to the Charter, it appears to the Referee that NYC CAN has learned from its failings in the 2009-litigation." (This is the same referee who handled the past ballot initiative). But, despite this acknowledgment, the referee ultimately recommended against us on two issues: whether the petition amounts to a "merely advisory" referendum, in other words a symbolic opinion poll, and whether the petition's financing plan is valid. We are pleased to report that the referee rejected the City's main argument for the petition being "merely advisory," namely that it seeks to reinvestigate the events of 9/11, a matter the City considers to be primarily of national and international concern, which thus, in the City's opinon, render's the petition "merely advisory." 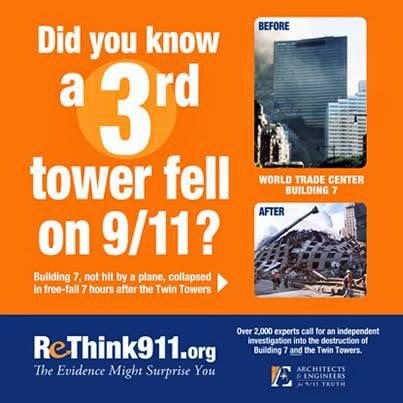 The referee stated: "The collapse of 7 World Trade Center, unlike [WTC 1 and 2], is a fundmental local concern." However, the referee then proceeded to find the petition "merely advisory" on two other very questionable grounds. First, the referee stated that the DOB already has the authority to investigate building collapses; therefore, the charter amendment would not "expand" the DOB's authority. In truth, there is no standard stating that a charter amendment must "expand" an agency's authority to avoid being "merely advisory." The referee erroneously uses this false standard, while ignoring the obvious change to the City Charter: the DOB currently has the option to investigate high-rise collapses; the High-Rise Safety Initiative would make such investigations mandatory. Second, the referee found that an investigation of WTC 7's collapse would be "materially limited" and "impossible to effectuate" because the initiative's grant of subpoena power would extend only to City employees. Amazingly, the referee misconstrued the grant of subpoena power, reading it to apply only to City employees, when in fact the language in paragraph 4 of the petition states plainly that it would apply to everyone except non-City public officials, consistent with state law. Given the power to subpoena anyone other than non-City public officials, and given the wealth of publicly available information that would form the basis of any technical analyses, it is simply absurd to claim that an investigation of WTC 7's collapse is "impossible to effectuate." Both of the referee's reasons for recommending against us are deeply flawed, and we believe they can be decisively dismantled in court. We encourage you to read our Motion to Reject the Referee's Report for more information on how we are countering the referee's findings. We want to reiterate that the referee's report is not the final say. Indeed, there is a long way to go. We remain optimistic of convincing Justice Wooten to reverse the referee's recommendations against us, and of winning on appeal. While it is premature to consider seriously at this stage, we have also not ruled out the possibility of mounting another effort for the next general election if we win on the "merely advisory" issue and lose solely on the financing plan. It is important to note that never in the history of ballot initiatives in New York City has a charter amendment that cost money to implement been found by the courts to have a valid financing plan. Despite the fact that it's never been done before, we believe that a valid financing plan can be written if our current financing plan is found to be invalid. But right now, we are putting every effort into demonstrating that the current financing plan is valid, and that the proposed charter amendment is by no means "merely advisory." As always, we thank you for standing behind us in this vitally important pursuit. We will keep you posted on developments in the coming days. The Senate is about to reauthorize the PATRIOT Act? It’s been over a year since Edward Snowden brought public attention to the breathtaking scope of President Obama’s indiscriminate spying on American citizens who aren't suspected of any wrongdoing.‬ And now there’s a bill in the Senate that could effectively reauthorize the PATRIOT Act without fixing the worst constitutional abuses by the NSA. We can’t let Congress effectively reauthorize the PATRIOT Act for an additional 2.5 years, legalize currently illegal surveillance activities, and grant immunity to corporations that collaborate to violate privacy rights. But that’s exactly what a bill now being considered in the Senate, Sen. Patrick Leahy’s USA FREEDOM Act, would do. Tell the Senate: Oppose the USA Freedom Act in its current form. Click here to sign the petition. This is a complicated issue and we want you to understand why CREDO opposes this bill and is asking activists to contact their senators to oppose it, too. CREDO endorsed the initial Senate version of Sen. Leahy’s USA Freedom Act, but we withdrew that endorsement after the bill was gutted in the House of Representatives. Subsequently, Sen. Leahy redrafted the bill, and unfortunately in its current form it doesn’t even meet our lowest bar for reform and in fact could do more harm than good if enacted. What’s more, this bill is likely to get worse, not better, as it moves through the Senate. We need to send a signal to senators that we oppose this bill as written and demand real reform that doesn’t legalize currently illegal surveillance activities. The bill does not define "direct connection," which may permit the government to access the data from Americans' smart phones through telecommunication providers, which the USA FREEDOM act immunizes from customer lawsuits. This would be an expansion of the NSA's current authority. The bill expands on the emergency provision currently approved by the Foreign Intelligence Surveillance Court, creating new powers for the government to retain data and introduce it as evidence even if the courts reject the NSA's petition to collect it. The bill does not safeguard against warrantless ("back door") searches on the content of Americans' communications collected under Section 702. While imposing new reporting requirements, it exempts "back door" searches conducted by the FBI, which pose one of the gravest dangers to Americans' civil liberties. And perhaps most damningly, the current version of the Senate USA Freedom Act effectively reauthorizes the worst parts of the PATRIOT Act. Tell the Senate: Oppose the USA Freedom Act. Click here to sign the petition. The USA FREEDOM Act as written has significant potential to make our current unconstitutional surveillance status quo worse, not better. At best, even if faithfully implemented, the current bill will erect limited barriers to only one of three known legal justifications for the unconstitutional, dragnet surveillance revealed by Edward Snowden and other whistleblowers, create additional loopholes, and provide a statutory framework for some of the most problematic surveillance policies, all while reauthorizing the PATRIOT Act until 2017 (the worst parts of the PATRIOT Act, like Section 215, are currently set to sunset in 2015). CREDO is joined by whistleblowers Daniel Ellsberg and Mark Klein in opposing this version of the USA Freedom Act. Our allies at Demand Progress, Sunlight Foundation, Fight for the Future, Roots Action, and the Courage Campaign also oppose the bill. We’re taking our time to explain in detail why we oppose this act because it has garnered support from some our traditional allies in this fight. The ACLU and EFF helped Senator Leahy’s staff redraft the bill. While they fought to block the worst compromises and agree that the bill is far from perfect, they are still supporting its passage despite the implications for PATRIOT Act reauthorization and the other dangers we’ve outlined here. CREDO supports passage of Rep. Rush Holt’s Surveillance State Repeal Act which would repeal the USA PATRIOT Act of 2001 and the FISA Amendments Act of 2008. But until full repeal can be achieved, CREDO has worked specifically to reform the worst abuses of both acts. This includes fighting to roll back the National Security Letter (NSL) provisions of the USA PATRIOT Act, and fighting to make FISA Court opinions public so that the American people know how the secret FISA court is interpreting the law. While we endorsed Sen. Leahy’s first version of the USA FREEDOM Act, the bill in its current form is not the substantive reform originally envisioned and supported by the public. We believe that focusing on PATRIOT Act reauthorization next year when it is scheduled to sunset, fighting the government’s unconstitutional spying in the courts, and working with our elected representatives on the right and the left to defund unconstitutional intelligence agency programs is a more constructive path forward. You will almost certainly hear from other civil liberties groups on this issue. Some will urge you to oppose the bill like CREDO has. Others will urge you to support this bill. We appreciate that this is a complicated issue and we want to be sure that we share our thinking in depth with our members so you can make an informed decision on where you stand. Thank you for everything you do to fight back against the violations of our 4th and 1st Amendment rights. "Understanding the New USA FREEDOM Act: Questions, Concerns, and EFF’s Decision to Support the Bill," eff.org, August 7, 2014. "Might Get Fooled Again? — The Senate and Surveillance," WashingtonPost.com, July 30, 2014. "Meet Executive Order 12333: The Reagan rule that lets the NSA spy on American," Washingtonpost.com, July 18, 2014.